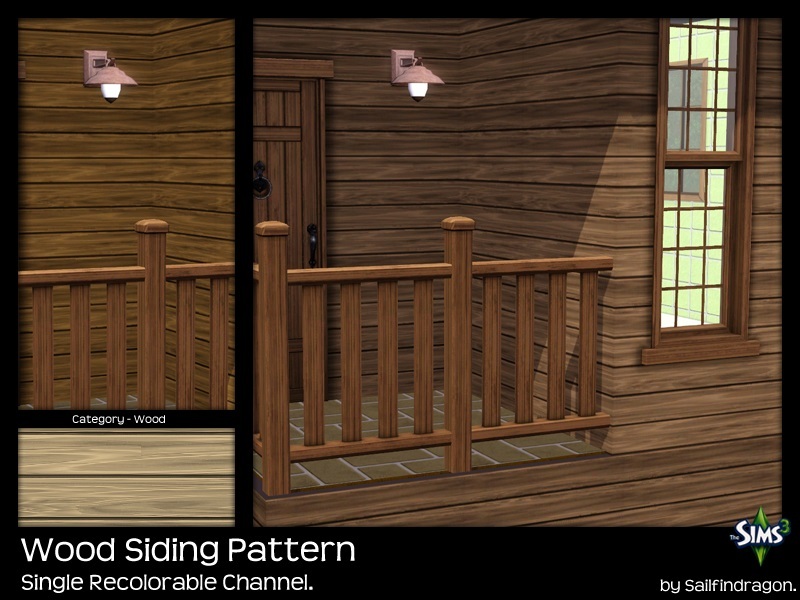 Wood Siding Pattern is great for use on either walls or floors. It has one recolorable channel, so why not use some bright colors and give your home a lift for the summer months. Enjoy. Both sims3pack and sims3package have been included. Please only install one version. If you have any issues please leave a comment here. As of 27/09/2014 My TOU is the following. All my meshes are share friendly and can be included with Recolours. DO NOT modify my meshes/textures/patterns/walls/floors to use with your own projects. DO NOT convert ANY of my meshes/textures/patterns/walls/floors to Sims 4. You don't claim my stuff as your own. You don't upload ANY of my creations to a site to download directly. Michelle - Will hopefully get around to making this for Sims 2 as well.